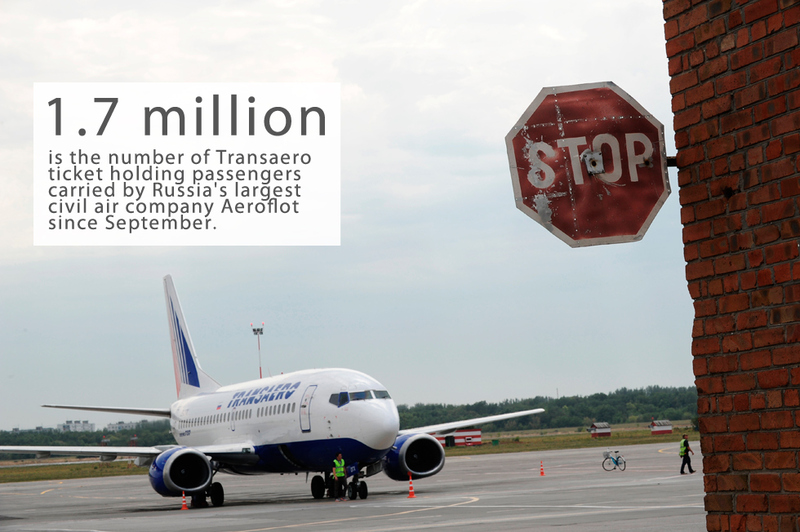 More than 1.7 million passengers holding tickets for bankrupt airline Transaero have taken Aeroflot flights since the beginning of September. The ariline must make room for a further 240,000 by December 15 when all Transaero issued tickets will be cancelled, Russian transport minister Maxim Sokolov says. Russia’s second-largest airline Transaero, purchased by Aeroflot in early September for the nominal sum of one ruble, is on the brink of folding after government officials appear to have made a decision to file for bankruptcy for the debt-laden company. Transaero's overall debt is estimated at 260 billion rubles ($3.9 billion), of which 80 billion rubles ($1.2 billion) is owed to banks. Aeroflot is currently carrying out the company's operations.